Step2. In the first box, choose the quantity and the product that you want to upsell then click Next. In this example, we are going to upsell a pair of red Gnarly shoes. Step3. 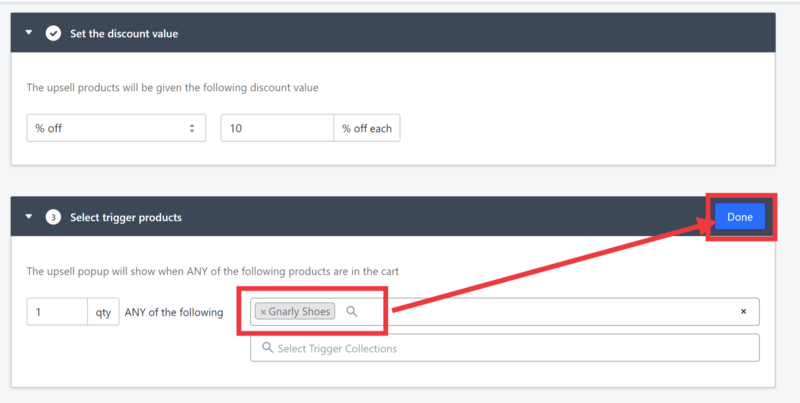 In the second box, choose % off and the percentage discount and then click Next. In this example, let us put in 10% off each. Step4. In the third box, pick the product that will trigger the upsell offer to appear, then click Done. In this case, we are choosing Black Gnarly shoes. You can have a preview of the upsell offer and as soon as you are satisfied, click Save. 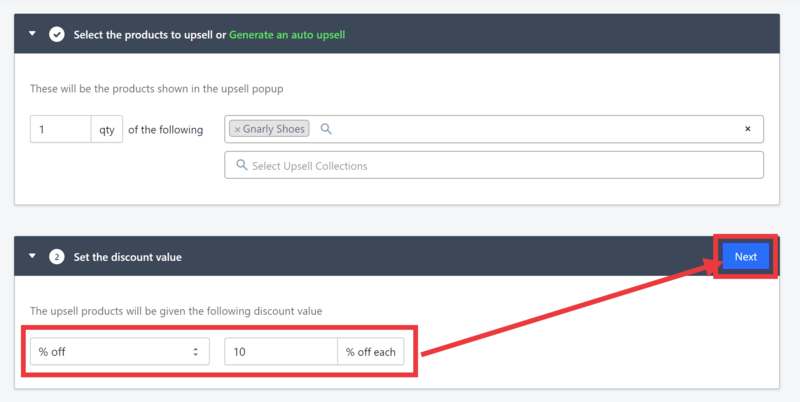 The upsells offer you created will now appear in the Dashboard. If you need help further help, click Contact Us below.